BBC World News is back on 11958.00MHz, pol.H SR:27500 FEC:3/4 SID:10395 after a break ( PID:5081[MPEG-4]/5082 aac English - VideoGuard). BBC World News (United Kingdom) momenteel ongecodeerd (FTA) te ontvangen (3759.00MHz, pol.R SR:7610 FEC:5/6 SID:11 PID:211[MPEG-4]/212 English). BBC World News (United Kingdom) momenteel ongecodeerd (FTA) te ontvangen (3840.00MHz, pol.V SR:27690 FEC:7/8 SID:12 PID:2260[MPEG-4]/2220 English,2222). BBC World News in DVB-S2 op 12310.00MHz, pol.H SR:30000 FEC:5/6 SID:1138 PID:4801[H.265]/4802 aac English (Conax). BBC World News is back on 12241.00MHz, pol.H SR:13381 FEC:3/4 SID:2 after a break ( PID:129/660 Greek - FTA). BBC World News is encrypted again after being temporarily unencrypted on 11727.48MHz, pol.H SR:27500 FEC:5/6 SID:10395 PID:5081[MPEG-4]/5082 aac English (VideoGuard). BBC World News is back on 4095.00MHz, pol.R SR:30000 FEC:2/3 SID:106 after a break ( PID:5409[MPEG-4]/5410 aac - PowerVu). BBC World News is back on 11727.48MHz, pol.H SR:27500 FEC:5/6 SID:10395 after a break ( PID:5081[MPEG-4]/5082 aac English - FTA). Viasat: BBC World News (United Kingdom) momenteel ongecodeerd (FTA) te ontvangen (11977.00MHz, pol.V SR:27500 FEC:5/6 SID:2120 PID:2121/2122 English). Viasat: BBC World News (United Kingdom) is in DVB-S2 van start gegaan op 11265.00MHz, pol.V SR:30000 FEC:3/4 SID:2293 PID:2294[MPEG-4]/891 English - VideoGuard. Digitürk: BBC World News is back on 11596.00MHz, pol.H SR:30000 FEC:3/4 SID:6442 after a break ( PID:2701[MPEG-4]/3803 original audio - Irdeto 2). BBC World News is back on 12513.00MHz, pol.H SR:3320 FEC:3/4 SID:501 after a break ( PID:4673[MPEG-4]/4674 aac - PowerVu). BBC World News is back on 12522.00MHz, pol.H SR:30000 FEC:3/4 SID:8019 after a break ( PID:288[MPEG-4]/544 - Conax). BBC World News is back on 12224.00MHz, pol.H SR:13381 FEC:3/4 SID:2 after a break ( PID:129/660 Greek - FTA). Nieuwe frequentie voor BBC World News: 11075.00MHz, pol.V (DVB-S SR:27500 FEC:3/4 SID:8204 PID:163/92 English- FTA). BBC World News switched to Intelsat 35 satellite at 4132.00MHz, pol.R (DVB-S2 , 4132.00MHz, pol.R SR:30000 FEC:3/5 PID:5409[MPEG-4]/5410 aac English). BBC World News (United Kingdom) is in DVB-S2 van start gegaan op 12697.00MHz, pol.H SR:6665 FEC:2/3 SID:106 PID:5409[MPEG-4]/5410 aac - PowerVu. Digitürk: BBC World News (United Kingdom) is in DVB-S van start gegaan op 10928.00MHz, pol.H SR:30000 FEC:3/4 SID:7803 PID:2376/3371 original audio - Irdeto 2. Nieuwe SR voor BBC World News op 12509.00MHz, pol.H: SR:2083 ( FEC:2/3 SID:106 PID:5409[MPEG-4]/5410 aac English - PowerVu). Orange Romania: Nieuwe frequentie voor BBC World News: 12168.00MHz, pol.V (DVB-S2 SR:30000 FEC:3/4 SID:8712 PID:7121[MPEG-4]/7122 English- Viaccess 5.0). BBC World News switched to DVB-S2 at 11403.00MHz, pol.V SR:25000 FEC:3/4 PID:1210[MPEG-4]/3245 English. Canal Digital Nordic: BBC World News in DVB-S op 11403.00MHz, pol.V SR:24500 FEC:7/8 SID:7012 PID:1210[MPEG-4]/3245 English (Conax). D-Smart: BBC World News (United Kingdom) is in DVB-S2 van start gegaan op 11012.00MHz, pol.V SR:30000 FEC:5/6 SID:1415 PID:115[MPEG-4]/215 English - VideoGuard. Cosmote: BBC World News is back on 11843.00MHz, pol.V SR:27500 FEC:2/3 SID:1088 after a break ( PID:488[MPEG-4]/588 English - VideoGuard). Nieuwe SR voor BBC World News op 4131.00MHz, pol.R: SR:20460 ( FEC:1/2 SID:106 PID:5409[MPEG-4]/5410 aac English - PowerVu). BBC World News is back on 4064.00MHz, pol.H SR:19850 FEC:7/8 SID:255 after a break ( PID:2560/2520,2522 - PowerVu). BBC World News switched to Eutelsat 9B satellite at 12207.00MHz, pol.H (DVB-S2 , 12207.00MHz, pol.H SR:27500 FEC:2/3 PID:488[MPEG-4]/588 English). Cosmote: BBC World News is back on 12207.00MHz, pol.H SR:27500 FEC:2/3 SID:1088 after a break ( PID:488[MPEG-4]/588 English - VideoGuard). Digitürk: BBC World News (United Kingdom) is in DVB-S van start gegaan op 10928.00MHz, pol.H SR:30000 FEC:3/4 SID:7803 PID:2376/3371 English - Irdeto 2. Canal Digital Nordic: BBC World News is nu gecodeerd in Conax (10778.00MHz, pol.H SR:24500 FEC:7/8 SID:7016 PID:1210/3245 English). Multichoice Africa: PID zijn veranderd voor BBC World News op 12054.00MHz, pol.H: PID:161/162 English SID:206 ( SR:27500 FEC:3/4 - Irdeto 2). BBC World News in DVB-S2 op 4131.00MHz, pol.R SR:12122 FEC:1/2 SID:106 PID:5409[MPEG-4]/5410 aac English (PowerVu). T-Home: Nieuwe SR voor BBC World News op 10925.50MHz, pol.V: SR:30000 ( FEC:3/4 SID:1511 PID:163[MPEG-4]/92 aac English - Conax). T-Home: Nieuwe SR voor BBC World News op 10925.50MHz, pol.V: SR:23333 ( FEC:3/4 SID:1511 PID:163[MPEG-4]/92 aac English - Conax). BBC World News (United Kingdom) is in DVB-S2 van start gegaan op 12575.00MHz, pol.H SR:13922 FEC:1/2 SID:106 PID:5409[MPEG-4]/5410 aac English - PowerVu. Nieuwe frequentie voor BBC World News: 11785.00MHz, pol.V (DVB-S SR:27500 FEC:3/4 SID:306 PID:3006/3106 English- FTA). Nieuwe SID voor BBC World News op 11135.00MHz, pol.H: SID:263 ( SR:27500 FEC:5/6 PID:286/278 English - FTA). T-Home: Nieuwe SR voor BBC World News op 10925.50MHz, pol.V: SR:20500 ( FEC:3/4 SID:1511 PID:163[MPEG-4]/92 aac English - Conax). T-Home: Nieuwe FEC voor BBC World News op 10925.50MHz, pol.V: FEC:3/4 ( SR:18000 SID:1511 PID:163[MPEG-4]/92 aac English - Conax). Nieuwe frequentie voor BBC World News: 11785.00MHz, pol.H (DVB-S2 SR:27500 FEC:2/3 SID:240 PID:2071/2072 English- FTA). Nieuwe frequentie voor BBC World News: 11771.00MHz, pol.V (DVB-S SR:27500 FEC:3/4 SID:103 PID:162/88 English- FTA). Meo: Nieuwe frequentie voor BBC World News: 12012.00MHz, pol.H (DVB-S2 SR:30000 FEC:3/4 SID:122 PID:4265[MPEG-4]/4266 English- Mediaguard 3 & Nagravision 3). T-Home: PID zijn veranderd voor BBC World News op 10925.50MHz, pol.V: PID:163[MPEG-4]/92 aac English SID:1511 ( SR:18000 FEC:2/3 - Conax). BBC World News (United Kingdom) is in DVB-S van start gegaan op 11135.00MHz, pol.H SR:27500 FEC:5/6 SID:8204 PID:163/92 English - FTA. T-Home: Nieuwe frequentie voor BBC World News: 10925.50MHz, pol.V (DVB-S2 SR:18000 FEC:2/3 SID:1511 PID:71[MPEG-4]/70 aac English- Conax). MyTV: BBC World News in DVB-S op 12522.00MHz, pol.H SR:26657 FEC:1/2 SID:1 PID:257[MPEG-4]/513 English (Conax). Orange Romania: BBC World News (United Kingdom) is in DVB-S2 van start gegaan op 12480.00MHz, pol.V SR:30000 FEC:3/4 SID:8604 PID:6041[MPEG-4]/6042 English - Viaccess 5.0. Nieuwe frequentie voor BBC World News: 10778.00MHz, pol.H (DVB-S SR:24500 FEC:7/8 SID:7016 PID:1210/3245 English- FTA). UPC Direct: Nieuwe frequentie voor BBC World News: 12034.00MHz, pol.V (DVB-S2 SR:30000 FEC:3/4 SID:30508 PID:451[MPEG-4]/462 English- Cryptoworks & Irdeto 2 & Nagravision 3). BBC World News (United Kingdom) is in DVB-S2 van start gegaan op 12523.00MHz, pol.V SR:11443 FEC:3/5 SID:2 PID:129/660 English - FTA. Meo: Nieuwe frequentie voor BBC World News: 12130.00MHz, pol.H (DVB-S2 SR:27500 FEC:3/4 SID:122 PID:4265[MPEG-4]/4266 English- Mediaguard 3 & Nagravision 3). Digitürk: PID zijn veranderd voor BBC World News op 10845.25MHz, pol.V: PID:2416/3416 English SID:8008 ( SR:30000 FEC:3/4 - Cryptoworks & Irdeto 2). T-Home: BBC World News in DVB-S2 op 10806.00MHz, pol.V SR:30000 FEC:2/3 SID:4429 PID:51[MPEG-4]/50 aac English (Conax). Nieuwe SR voor BBC World News op 4140.00MHz, pol.R: SR:8850 ( FEC:2/3 SID:106 PID:5409[MPEG-4]/5410 aac English - PowerVu). Canal Digitaal & Canal: PID zijn veranderd voor BBC World News op 11597.00MHz, pol.V: PID:163/92 English SID:10050 ( SR:22000 FEC:5/6 - FTA). Dolce TV: BBC World News (United Kingdom) is in DVB-S van start gegaan op 12565.00MHz, pol.V SR:30000 FEC:7/8 SID:114 PID:214/314 English - VideoGuard. Digitürk: BBC World News is nu gecodeerd in Cryptoworks & Irdeto 2 (10845.25MHz, pol.V SR:30000 FEC:3/4 SID:8008 PID:3416/2416 English). Digitürk: BBC World News (United Kingdom) momenteel ongecodeerd (FTA) te ontvangen (10845.25MHz, pol.V SR:30000 FEC:3/4 SID:8008 PID:3416/2416 English). Digitürk: PID zijn veranderd voor BBC World News op 10845.25MHz, pol.V: PID:3416/2416 English SID:8008 ( SR:30000 FEC:3/4 - Cryptoworks & Irdeto 2). Nieuwe SR voor BBC World News op 4136.00MHz, pol.R: SR:8850 ( FEC:2/3 SID:106 PID:5409[MPEG-4]/5410 aac English - PowerVu). Nieuwe frequentie voor BBC World News: 12111.00MHz, pol.V (DVB-S SR:28000 FEC:7/8 SID:31206 PID:351/360 English- FTA). Nos: Nieuwe SR voor BBC World News op 12187.80MHz, pol.V: SR:29840 ( FEC:5/6 SID:717 PID:4107/4108 English - Nagravision 3). Canal Digitaal & Canal: PID zijn veranderd voor BBC World News op 11597.00MHz, pol.V: PID:163/684 English SID:10050 ( SR:22000 FEC:5/6 - FTA). Nos: Nieuwe frequentie voor BBC World News: 12187.80MHz, pol.V (DVB-S SR:27500 FEC:5/6 SID:717 PID:4107/4108 English- Nagravision 3). BBC World News switched to Nilesat 201 satellite at 11765.84MHz, pol.H (DVB-S , 11765.84MHz, pol.H SR:27500 FEC:5/6 PID:1022/1222 English). T-Home: BBC World News (United Kingdom) is in DVB-S2 van start gegaan op 10806.00MHz, pol.V SR:30000 FEC:2/3 SID:1429 PID:51[MPEG-4]/50 aac English - Conax. Cosmote: Nieuwe frequentie voor BBC World News: 12226.00MHz, pol.V (DVB-S2 SR:27500 FEC:2/3 SID:1088 PID:488[MPEG-4]/588 English- VideoGuard). Startimes: Nieuwe frequentie voor BBC World News: 3914.00MHz, pol.R (DVB-S2 SR:12096 FEC:5/6 SID:11 PID:211[MPEG-4]/212 English- Conax). BBC World News is nu gecodeerd in Conax & Irdeto 2 (11562.00MHz, pol.H SR:6666 FEC:7/8 SID:3 PID:33/32 English). Meo: Nieuwe frequentie voor BBC World News: 12168.00MHz, pol.H (DVB-S2 SR:26970 FEC:5/6 SID:122 PID:4265[MPEG-4]/4266 English- Mediaguard 3). BBC World News is nu gecodeerd in Conax (11562.00MHz, pol.H SR:6666 FEC:7/8 SID:3 PID:33/32 English). BBC World News is testing in DVB-S FTA on 11562.00MHz, pol.H SR:6666 FEC:7/8 SID:3 PID:4157/4156 English. Boom: BBC World News in DVB-S op 10924.00MHz, pol.H SR:27500 FEC:7/8 SID:162 PID:4003/4603 English (VideoGuard). Multichoice Africa: Nieuwe frequentie voor BBC World News: 11843.00MHz, pol.V (DVB-S2 SR:27500 FEC:2/3 SID:7040 PID:740[MPEG-4]/741 aac English- FTA). Digitürk: BBC World News is nu gecodeerd in Cryptoworks & Irdeto 2 (10845.25MHz, pol.V SR:30000 FEC:3/4 SID:8008 PID:2110/2211 English). Digitürk: BBC World News (United Kingdom) momenteel ongecodeerd (FTA) te ontvangen (10845.25MHz, pol.V SR:30000 FEC:3/4 SID:8008 PID:2110/2211 English). Nos: Nieuwe FEC voor BBC World News op 12012.00MHz, pol.V: FEC:5/6 ( SR:27500 SID:717 PID:4107/4108 English - Nagravision 3). Digitürk: BBC World News (United Kingdom) momenteel ongecodeerd (FTA) te ontvangen (10845.00MHz, pol.V SR:30000 FEC:3/4 SID:8008 PID:2110/2211 English). Digitürk: Nieuwe frequentie voor BBC World News: 10845.00MHz, pol.V (DVB-S SR:30000 FEC:3/4 SID:8008 PID:2110/2211 English- Cryptoworks & Irdeto 2). Multichoice Africa: Nieuwe SR voor BBC World News op 3836.00MHz, pol.V: SR:28500 ( FEC:3/4 SID:760 PID:3005/4005 English - Irdeto 2). Digitürk: BBC World News is nu gecodeerd in Cryptoworks & Irdeto 2 (11534.00MHz, pol.V SR:30000 FEC:3/4 SID:1706 PID:2105/2205 English). Digitürk: BBC World News (United Kingdom) momenteel ongecodeerd (FTA) te ontvangen (11534.00MHz, pol.V SR:30000 FEC:3/4 SID:1706 PID:2105/2205 English). Multichoice Africa: BBC World News is back on 3836.00MHz, pol.V SR:22500 FEC:3/4 SID:760 after a break ( PID:3005/4005 English - Irdeto 2). Multichoice Africa: BBC World News is nu gecodeerd in Irdeto 2 (12054.00MHz, pol.H SR:27500 FEC:3/4 SID:206 PID:490/491 English). Multichoice Africa: BBC World News (United Kingdom) momenteel ongecodeerd (FTA) te ontvangen (12054.00MHz, pol.H SR:27500 FEC:3/4 SID:206 PID:490/491 English). Kabel Deutschland: Nieuwe frequentie voor BBC World News: 11555.00MHz, pol.H (DVB-S2 SR:28500 FEC:9/10 SID:53001 PID:401/402 English- BetaCrypt & Nagravision 2 & Nagravision 3 & VideoGuard). MyTV: BBC World News is nu gecodeerd in Conax (12722.00MHz, pol.H SR:26657 FEC:1/2 SID:1 PID:257/513 English). Boom: Nieuwe frequentie voor BBC World News: 11562.00MHz, pol.H (DVB-S SR:6666 FEC:7/8 SID:162 PID:4003/4603 English- VideoGuard). MyTV: BBC World News (United Kingdom) momenteel ongecodeerd (FTA) te ontvangen (12722.00MHz, pol.H SR:26657 FEC:1/2 SID:1 PID:257/513 English). BBC World News is nu gecodeerd in Conax (3952.00MHz, pol.R SR:11200 FEC:5/6 SID:11 PID:211[MPEG-4]/212 English). Multichoice Africa: Nieuwe SR voor BBC World News op 3836.00MHz, pol.V: SR:22500 ( FEC:3/4 SID:760 PID:3005/4005 English - Irdeto 2). Canal Digital Nordic: Nieuwe frequentie voor BBC World News: 11862.00MHz, pol.H (DVB-S SR:28000 FEC:7/8 SID:1001 PID:518/684 English- FTA). Top TV: BBC World News (United Kingdom) is in DVB-S2 van start gegaan op 10876.00MHz, pol.V SR:22000 FEC:8/9 SID:7305 PID:1535[MPEG-4]/1536 aac English - VideoGuard. BBC World News (United Kingdom) is in DVB-S2 van start gegaan op 3952.00MHz, pol.R SR:11200 FEC:5/6 SID:11 PID:211[MPEG-4]/212 English - FTA. 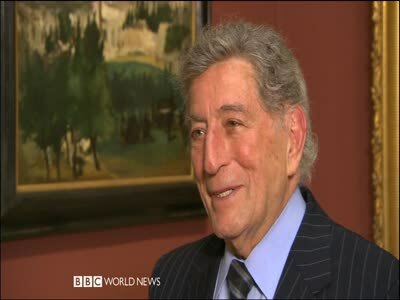 Multichoice Africa: BBC World News (United Kingdom) is in DVB-S van start gegaan op 12054.00MHz, pol.H SR:27500 FEC:3/4 SID:206 PID:490/491 English - Irdeto 2. Boom: Nieuwe SR voor BBC World News op 11557.00MHz, pol.H: SR:15550 ( FEC:7/8 SID:162 PID:4003/4603 English - VideoGuard). Meo: Nieuwe frequentie voor BBC World News: 11731.00MHz, pol.H (DVB-S2 SR:30000 FEC:3/4 SID:122 PID:4265[MPEG-4]/4266 English- Mediaguard 3). BBC World News switched to Hot Bird 13E satellite at 12015.00MHz, pol.H (DVB-S2 , 12015.00MHz, pol.H SR:27500 FEC:2/3 PID:1537/1538 English). Nos: BBC World News is nu gecodeerd in Nagravision 3 (12012.00MHz, pol.V SR:27500 FEC:3/4 SID:717 PID:4107/4108 English). GTV: Nieuwe frequentie voor BBC World News: 11881.00MHz, pol.V (DVB-S SR:27500 FEC:3/4 SID:111 PID:1011/2011 English- VideoGuard). BBC World News (United Kingdom) is in DVB-S2 van start gegaan op 12015.00MHz, pol.H SR:27500 FEC:2/3 SID:401 PID:1537/1538 English - Conax & VideoGuard. GTV: Nieuwe frequentie voor BBC World News: 11996.00MHz, pol.V (DVB-S SR:27500 FEC:3/4 SID:111 PID:1011/2011 English- VideoGuard). Viasat: BBC World News is nu gecodeerd in VideoGuard (11977.00MHz, pol.V SR:27500 FEC:3/4 SID:2120 PID:2121/2122 English). Viasat: BBC World News (United Kingdom) momenteel ongecodeerd (FTA) te ontvangen (11977.00MHz, pol.V SR:27500 FEC:3/4 SID:2120 PID:2121/2122 English). BBC World News switched to Thor 5 satellite at 11325.00MHz, pol.H (DVB-S , 11325.00MHz, pol.H SR:24500 FEC:7/8 PID:513/644 English). BBC World News switched to DVB-S at 11897.00MHz, pol.H SR:27500 FEC:3/4 PID:1011/2011 English. BBC World News (United Kingdom) is in DVB-S2 van start gegaan op 12012.00MHz, pol.H SR:30000 FEC:3/4 SID:122 PID:4265[MPEG-4]/4266 English - Mediaguard 2. GTV: Nieuwe frequentie voor BBC World News: 11897.00MHz, pol.H (DVB-S2 SR:18613 FEC:3/4 SID:111 PID:1011/2011 English- VideoGuard). Mediaset: Nieuwe FEC voor BBC World News op 11334.33MHz, pol.H: FEC:1/2 ( SR:27500 SID:134 PID:590/591 English - FTA). Mediaset: Nieuwe FEC voor BBC World News op 11334.33MHz, pol.H: FEC:2/3 ( SR:27500 SID:134 PID:590/591 English - FTA). BBC World News switched to Astra 4A satellite at 11977.00MHz, pol.V (DVB-S , 11977.00MHz, pol.V SR:27500 FEC:3/4 PID:2121/2122 English). Mediaset: Nieuwe SID voor BBC World News op 11334.33MHz, pol.H: SID:134 ( SR:27500 FEC:1/2 PID:590/591 English - FTA). Mediaset: Nieuwe FEC voor BBC World News op 11431.80MHz, pol.V: FEC:1/2 ( SR:27500 SID:25 PID:516/690 English - FTA). BBC World News is testing in DVB-S2 FTA on 11817.00MHz, pol.V SR:27500 FEC:7/8 SID:7474 PID:1474[MPEG-4]/2474 English. Mediaset: Nieuwe FEC voor BBC World News op 11334.33MHz, pol.H: FEC:1/2 ( SR:27500 SID:5 PID:516/690 English - FTA). TVTEL: BBC World News (United Kingdom) is in DVB-S van start gegaan op 11994.00MHz, pol.V SR:19909 FEC:3/4 SID:3 PID:71/72 English - Conax. BBC World News in DVB-S2 op 10802.75MHz, pol.H SR:22000 FEC:2/3 SID:7474 PID:1474[MPEG-4]/2474 English (FTA). Boom: Nieuwe frequentie voor BBC World News: 11559.00MHz, pol.H (DVB-S SR:13400 FEC:7/8 SID:162 PID:4003/4603 English- VideoGuard). BBC World News is testing in DVB-S2 FTA on 10802.75MHz, pol.H SR:22000 FEC:2/3 SID:7474 PID:1474[MPEG-4]/2474 English. Nos: BBC World News (United Kingdom) momenteel ongecodeerd (FTA) te ontvangen (11891.00MHz, pol.H SR:27500 FEC:3/4 SID:766 PID:4176/4177 English). Nos: BBC World News (United Kingdom) is in DVB-S van start gegaan op 12012.00MHz, pol.V SR:27500 FEC:3/4 SID:717 PID:4107/4108 English - FTA. Dolce TV: BBC World News (United Kingdom) is in DVB-S van start gegaan op 12565.00MHz, pol.V SR:30000 FEC:7/8 SID:107 PID:207/307 English - VideoGuard. BBC World News is back on 10719.00MHz, pol.V SR:27500 FEC:3/4 SID:13 after a break ( PID:111/112 English - FTA). Nieuwe frequentie voor BBC World News: 10719.00MHz, pol.V (DVB-S SR:27500 FEC:3/4 SID:13 PID:111/112 English- FTA). Canal Digitaal & Canal & Noos Numérique: BBC World News in DVB-S op 11597.00MHz, pol.V SR:22000 FEC:5/6 SID:10050 PID:163/92 English (FTA). BBC World News in DVB-S op 11862.00MHz, pol.V SR:27500 FEC:3/4 SID:24 PID:902/903 English (FTA). Athina Sat: BBC World News is nu gecodeerd in Griffin (12565.00MHz, pol.H SR:28800 FEC:7/8 SID:4 PID:3544/3545 English). Athina Sat: BBC World News (United Kingdom) momenteel ongecodeerd (FTA) te ontvangen (12565.00MHz, pol.H SR:28800 FEC:7/8 SID:4 PID:3544/3545 English). Mediaset: Nieuwe frequentie voor BBC World News: 11431.80MHz, pol.V (DVB-S SR:27500 FEC:2/3 SID:25 PID:516/690 English- FTA). Mediaset: Nieuwe frequentie voor BBC World News: 11449.00MHz, pol.H (DVB-S SR:27500 FEC:2/3 SID:25 PID:516/690 English- FTA). Boom: BBC World News is testing in DVB-S VideoGuard on 10924.00MHz, pol.H SR:27500 FEC:3/4 SID:128 PID:2007/2507 Romanian. Mediaset: Nieuwe frequentie voor BBC World News: 11334.33MHz, pol.H (DVB-S SR:27500 FEC:2/3 SID:5 PID:516/690 English- FTA). Boom: BBC World News is testing in DVB-S FTA on 10842.00MHz, pol.H SR:27500 FEC:3/4 SID:110 PID:1010/1510 English,1610. Boom: BBC World News is testing in DVB-S VideoGuard on 10889.00MHz, pol.H SR:27500 FEC:3/4 SID:110 PID:1010/1510 English,1610. Mediaset: Nieuwe frequentie voor BBC World News: 12322.00MHz, pol.H (DVB-S SR:27500 FEC:3/4 SID:5 PID:516/690 English- FTA). Boom: BBC World News is testing in DVB-S FTA on 10924.00MHz, pol.H SR:27500 FEC:3/4 SID:125 PID:1025/1525 English. MyTV: BBC World News (United Kingdom) is in DVB-S van start gegaan op 12722.00MHz, pol.H SR:26657 FEC:1/2 SID:1 PID:257/513 English - Conax. Mediaset: PID zijn veranderd voor BBC World News op 11449.00MHz, pol.V: PID:516/690 English SID:25 ( SR:27500 FEC:2/3 - FTA). Mediaset: PID zijn veranderd voor BBC World News op 11345.00MHz, pol.H: PID:516/690 English SID:5 ( SR:27500 FEC:2/3 - FTA). Mediaset: PID zijn veranderd voor BBC World News op 11449.00MHz, pol.V: PID:516/1400 English SID:25 ( SR:27500 FEC:2/3 - FTA). Mediaset: PID zijn veranderd voor BBC World News op 11345.00MHz, pol.H: PID:516/1400 English SID:5 ( SR:27500 FEC:2/3 - FTA). Athina Sat: BBC World News (United Kingdom) is in DVB-S van start gegaan op 12565.00MHz, pol.H SR:28800 FEC:7/8 SID:4 PID:3544/3545 English - Griffin. Mediaset: Nieuwe frequentie voor BBC World News: 11449.00MHz, pol.V (DVB-S SR:27500 FEC:2/3 SID:25 PID:516/690 English- FTA). Mediaset: BBC World News is back on 11345.00MHz, pol.H SR:27500 FEC:2/3 SID:5 after a break ( PID:516/690 English - FTA). Nieuwe frequentie voor BBC World News: 11597.00MHz, pol.V (DVB-S SR:22000 FEC:5/6 SID:10050 PID:163/92 English- FTA). Mediaset: BBC World News (United Kingdom) momenteel ongecodeerd (FTA) te ontvangen (11345.00MHz, pol.H SR:27500 FEC:2/3 SID:5 PID:516/690 English). BBC World News (United Kingdom) is in DVB-S van start gegaan op 11342.00MHz, pol.H SR:30000 FEC:3/4 SID:508 PID:167/108 English - Mediaguard 2. Mediaset: Nieuwe frequentie voor BBC World News: 11345.00MHz, pol.H (DVB-S SR:27500 FEC:2/3 SID:5 PID:516/690 English- Mediaguard 2). Kabel Deutschland: BBC World News (United Kingdom) is in DVB-S van start gegaan op 12565.00MHz, pol.V SR:27500 FEC:3/4 SID:53001 PID:401/402 English - Nagravision 2. Nos: BBC World News (United Kingdom) is in DVB-S van start gegaan op 11891.00MHz, pol.H SR:27500 FEC:3/4 SID:766 PID:4176/4177 English - Nagravision & Nagravision 2. BBC World News is back on 12130.00MHz, pol.V SR:11719 FEC:5/6 SID:2 after a break ( PID:309/258 English - FTA). Canal Digitaal & Canal: BBC World News (United Kingdom) momenteel ongecodeerd (FTA) te ontvangen (12285.00MHz, pol.V SR:27500 FEC:3/4 SID:17027 PID:167/108 English). --: Nieuwe frequentie voor BBC World News: 11325.00MHz, pol.H (DVB-S SR:24500 FEC:7/8 SID:1001 PID:513/644 English- --). Canal Digital Nordic: Nieuwe frequentie voor BBC World News: 11357.00MHz, pol.H (DVB-S SR:24500 FEC:7/8 SID:1001 PID:513/644 English- FTA). Canal: Nieuwe frequentie voor BBC World News: 12285.00MHz, pol.V (DVB-S SR:27500 FEC:3/4 SID:17027 PID:167/108- Mediaguard). Movistar+ (Hispasat): Nieuwe frequentie voor BBC World News: 11771.00MHz, pol.V (DVB-S SR:27500 FEC:3/4 SID:23 PID:4368/4369- Nagravision).